Attracting customers from all over the world. A mature SEO strategy and extensive work on the front-end and back-end of Leemar’s website expands their client base from almost exclusively local to predominantly global. A vast inventory and need to expand outside their immediate area. 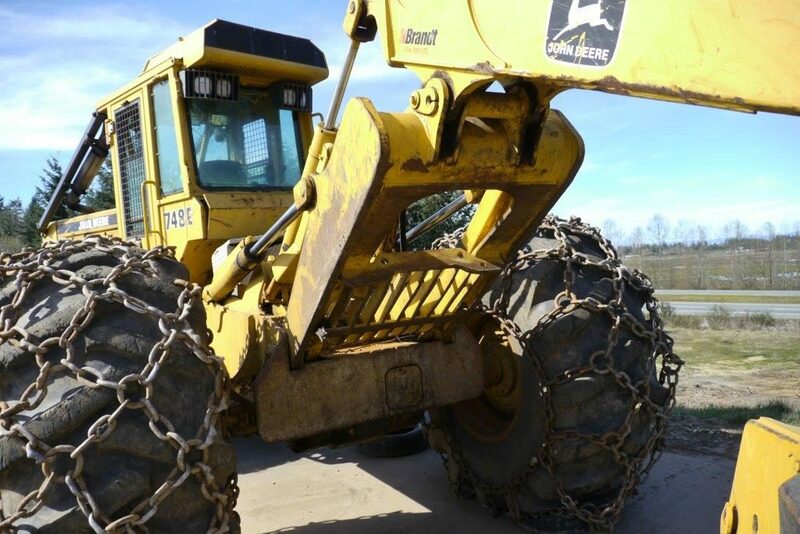 Established in 1986 in Parksville, BC on beautiful Vancouver Island, Leemar Excavator Components Inc got its start manufacturing specialized logging and road building equipment exclusively for the Vancouver Island logging industry. 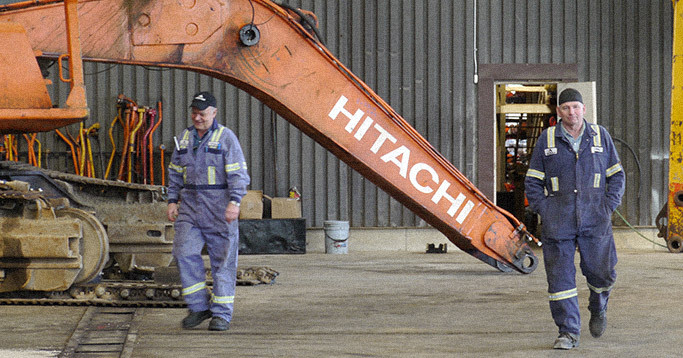 Since then, they pivoted and honed their focus to the remanufacturing and rebuilding of components for hydraulic excavators. As their objectives narrowed, they found their target market expanding, no longer only within the immediate geographic area. 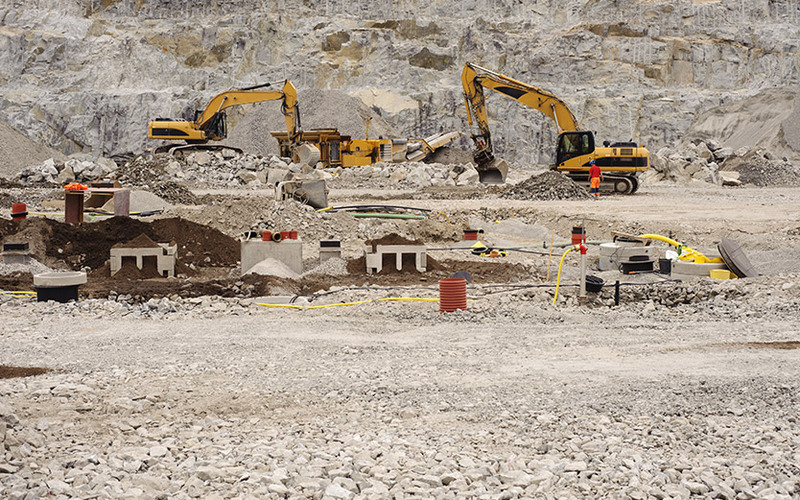 Leemar had a basic website and a huge amount of excavator parts in stock ready for sale – however, it was proving difficult to adequately and accurately reflect their current inventory on their website. Their recent growth and new business objectives required them to have a better solution for handling their stock, as well as a strategy for reaching international clientele. 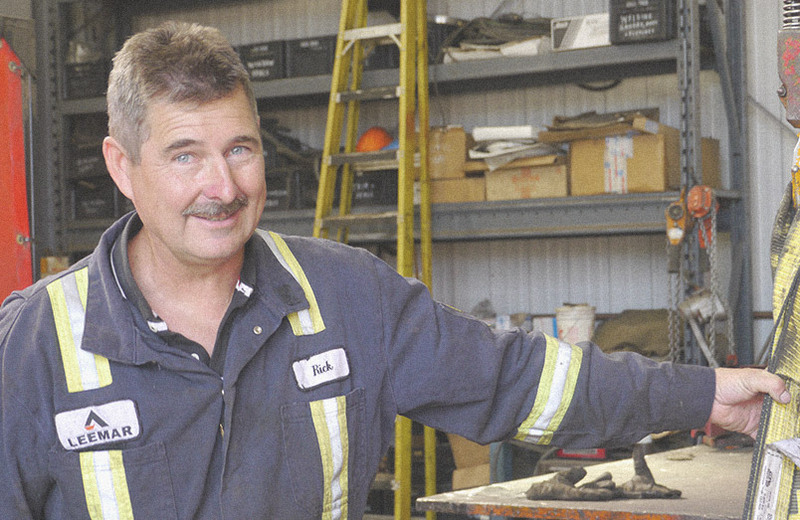 A custom inventory management solution to match their workflow. 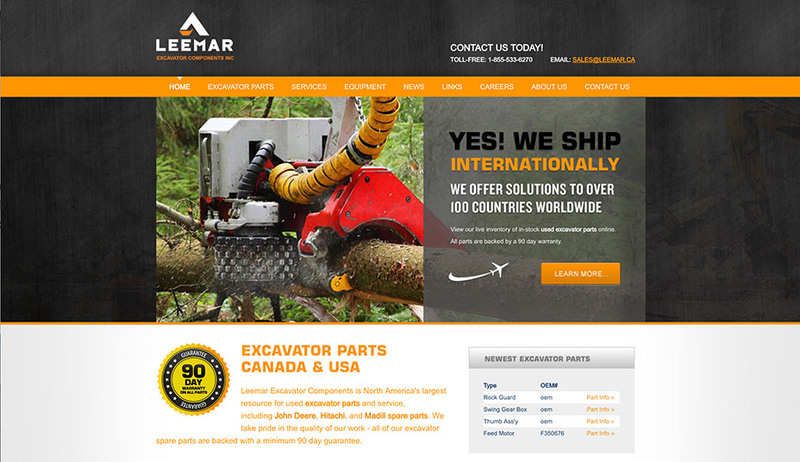 Leemar wanted to be able to take care of everything all in one place – the back end of their website. This critical piece of the project needed to be intuitive, easy for their team members to use across desktop and tablet, without requiring them to adjust their established business processes. We developed a custom software solution that integrated fully with the front-end of their website, including a CRM module and invoicing functionality to automatically adjust inventory as items are billed. An updated website to convert visitors and generate leads. The new design of the front-facing website was informed by their existing website at the time, in order to provide a familiar experience to long-standing clients. The information architecture was overhauled with robust search functionality included to allow visitors to more easily navigate and find the products they are looking for. The inventory in the back-end updates on the front-end in real time to accurately and effectively reflect their current stock. A robust keyword strategy to bring in customers from distant locations. We started the SEO campaign with four recommended keywords focused on garnering local traffic. Now, we work with several highly-focused and extensively-researched keywords that are strategically integrated semantically in their website content, landing pages, and metadata. Our strategy is now geared towards a global demographic, and we regularly audit our key phrases for effectiveness, alignment to company goals, current trends, and future projections, and adapt as necessary. Capturing new clients in a global marketplace. Leemar’s website consistently gains and maintains top rankings in the search results for the vast majority of their keywords, and appeals to a global market. Their team has remarked that it is much easier for them to keep their website and inventory up to date. Overall traffic has doubled, and they have more than tripled their conversions and contacts. Our team will get back to you ASAP about what budget a project like Leemar requires.